BGO Casino is giving away a 10K Dream Holiday and other fabulous prizes in this week’s 10K Dream Holiday Promotion! 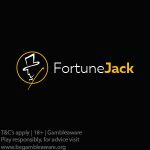 From the 17th of September until the 23rd of September 2018, UK players at BGO Casino can take part in this superb promotion. The grand prize includes a tailor-made dream holiday with a £10,000 budget of your choosing! Sip cocktails on a Caribbean island or head off on a luxury safari to Kenya to see the big five. Players simply need to opt-in and play the eligible games to participate in this offer. Check out the simple steps below to see how you could be winning a marvellous 10K Dream Holiday courtesy of BGO Casino. This offer is only available to UK players. Opt-in to the promotional offer during the promotional period (17 – 23 September 2018). Make your deposit and wager on any of the eligible games to participate. Eligible games include: Gonzo’s Quest™, Reel Rush™, Twin Spin™, Secrets of Atlantis™, Dazzle Me™, Finn and the Swirly Spin™, Jack Hammer™, Dead or Alive™ & Jungle Spirit: Call of the Wild. For every £20 wagered, players will receive one raffle entry to win some superb prizes. 300 lucky winners will all win prizes which are outlined below. There are no limits on how many raffle tickets you can collect per day. 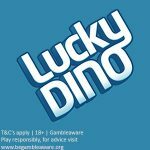 Only UK players that are 18+ are eligible to take part in this promotional offer. Deposits using Neteller or Skrill do not qualify for this offer. Players must opt-in to participate in this offer. This offer will run from Monday 17th September, 00:01 BST until Sunday 23rd September 2018, 23:59 BST. The Prize Draw takes place on Monday 24th September. Winners will be announced by 25th September 2018. Posted in Bgo and tagged September 2018 offers. 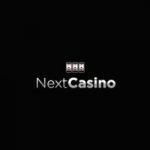 ← NextCasino Imagine Beyond Mega Promotion – Get Bonus Spins and even win a Wooden Watch!